This summer I was one of four Americans to represent the United States in the US/ICOMOS International Exchange Program and was assigned to the first internship located in San Andres, Ecuador. 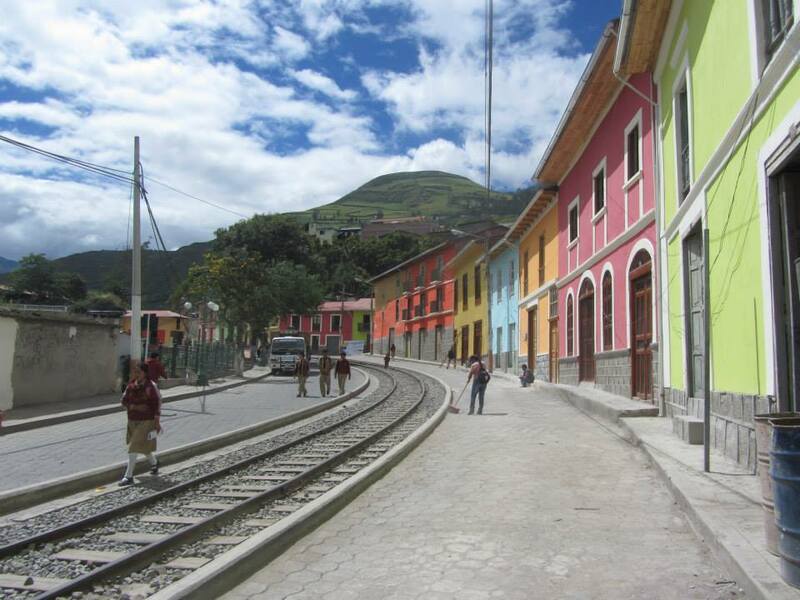 This small village is located in the Central Sierra region of Ecuador, high in the Andes mountains. The other internships were held in Ireland, Jamaica and France. San Andres lies in the valley of the extinct volcano Chimborazo, whose peak is the farthest point from the center of the Earth. 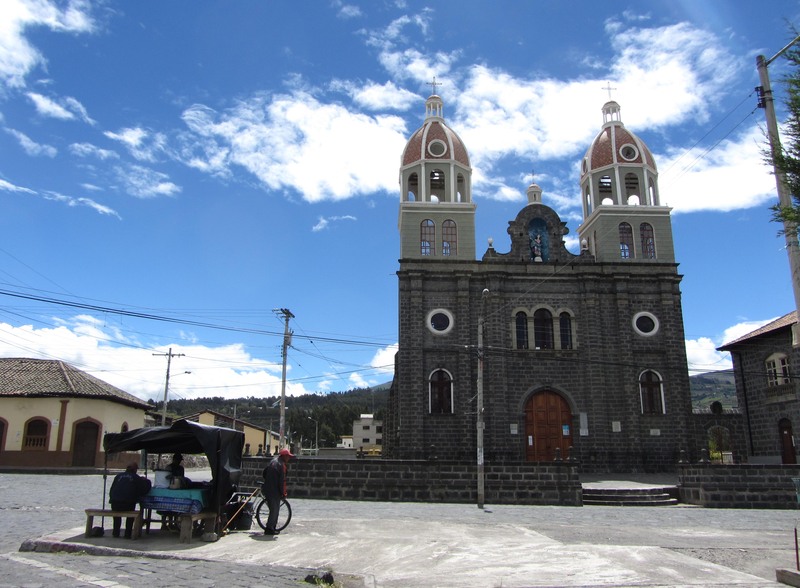 The village of approximately 20,000 inhabitants follows the typical Spanish colonial grid in plan with a church, convent and public square at the center. 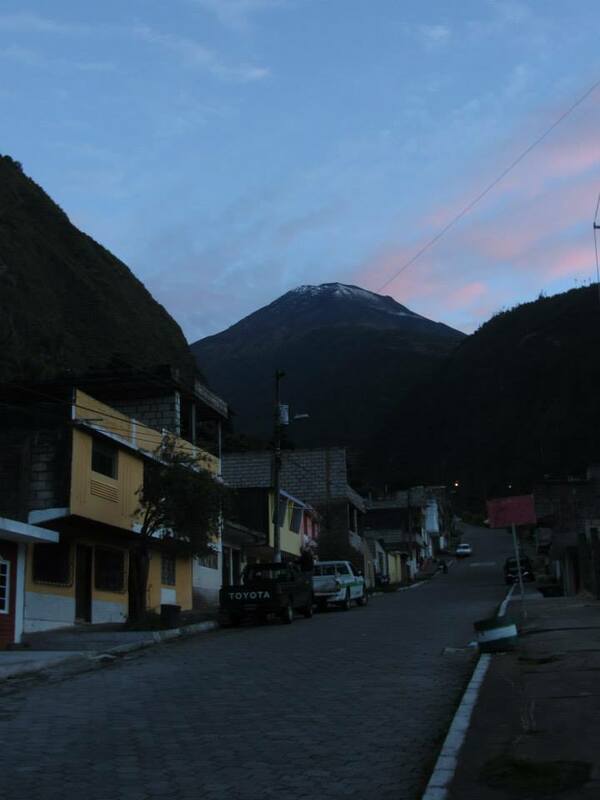 There is one main street, running from the public square to the cemetery, and the village is surrounded by farmland, mountains and snow-capped volcanoes. San Andres is a poorly maintained, economically depressed village with neither a planning department nor a preservation movement. The community hopes to attract tourism and commerce but lacks infrastructure, accommodations and amenities. Unaware of the value of their vernacular stone architecture, the locals associate traditional buildings with poverty and treat them accordingly. 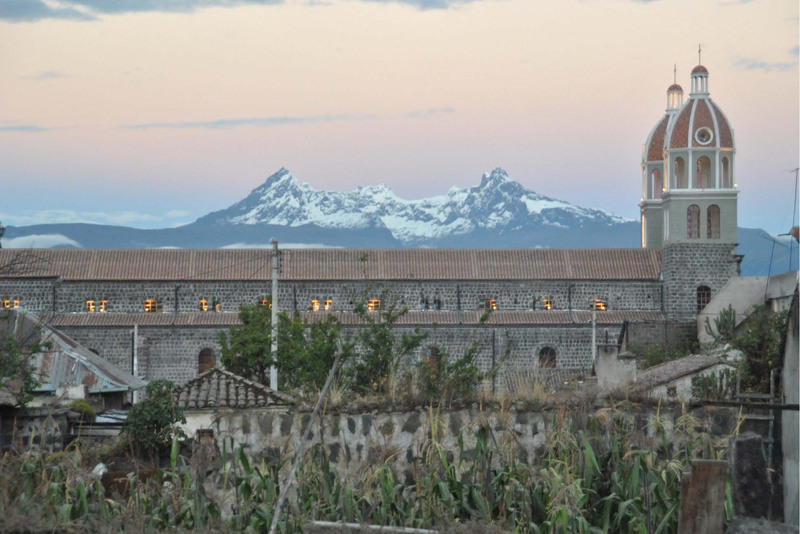 The locals also have little sense of the history of their village and had plans to cover the pre-Incan, stone-lined canal system with poured concrete to prevent the accumulation of trash. 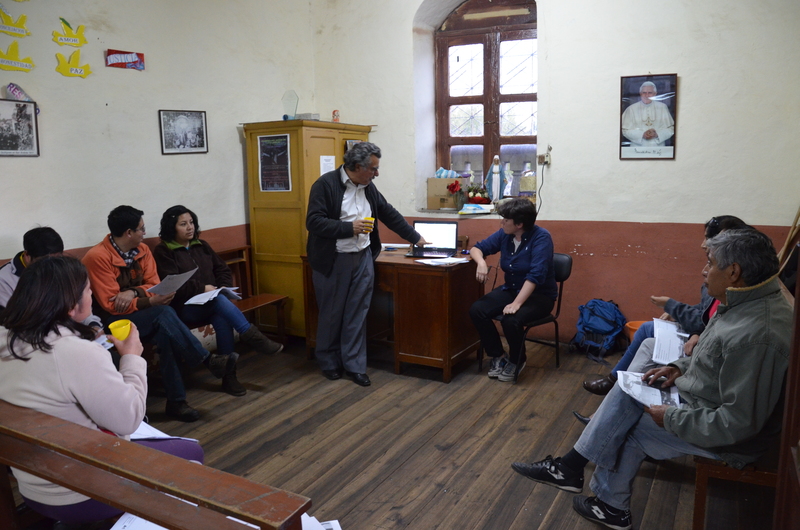 Meeting with the Priest, Vice President and community members in the convent of San Andres. The first step of the internship was to identify and evaluate the cultural landscape and architecture of San Andres and to present the findings to members of the community. 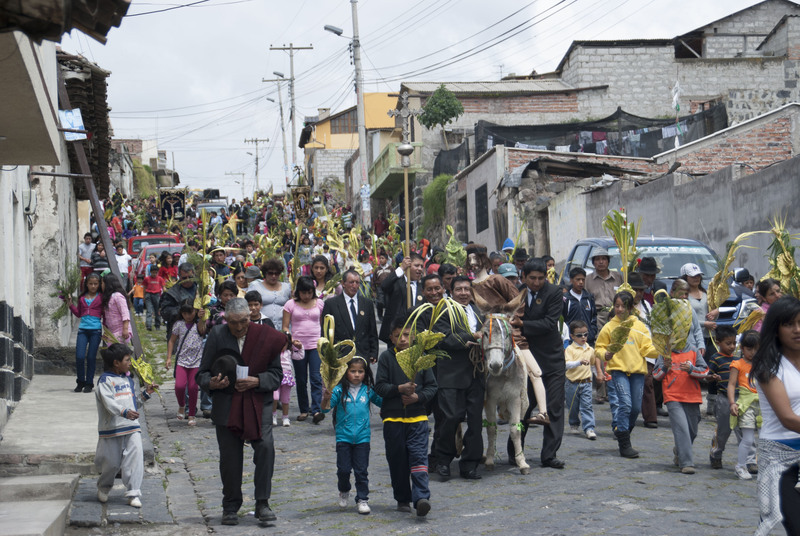 The presentation aimed to raise awareness of the village’s cultural heritage, vernacular architecture and unique identity. The vernacular architecture consists of one or two story structures of a locally quarried and carved volcanic stone with sloped roofs clad in terracotta tiles. The unique identity includes the Chuquipogyo spring and Acequia Maria Mayancela, the largest and most important pre-Incan canal system in Ecuador, still in use today. I proposed that the community conceive of these separate elements as belonging to a heritage network and encouraged them to focus on improving, maintaining and protecting these elements before addressing other areas. Following the presentation, the community members in attendance, particularly the Priest, were encouraged and excited to work on protecting and improving their cultural and built heritage. The second step was to propose ways to uncover and strengthen elements of the heritage network and to protect them from harm by future development. This included surveying the convent and producing a set of construction documents with a cost estimate for restoration, proposing design solutions and program ideas for the adaptive reuse of some ruins, presenting a series of before/after images and precedents of successfully maintained villages to give the community some realistic goals, producing a set of design guidelines to protect the vernacular architecture along the main street and producing a template for a tourist guide to San Andres, to be completed as the town completes its revitalization plan. During the internship I also had the opportunity to travel around Ecuador, visiting other towns in the Central Sierra, the capital Quito and Cuenca. I enjoyed watching humpback whales breach off the coast, bathing in the thermal baths of Volcano Tungurahua in Banos and climbing the peak of Volcano Pinchincha. Following the internship, a private reception and presentation of certificates was held in the Brewmaster’s Castle, home of the new US/ICOMOS offices in Washington, D.C. The internship was very challenging and eye-opening. I found it especially rewarding to use skills I had learned from years of working in architecture offices around New York City to help a community in need with a culture and environment so different from my own.